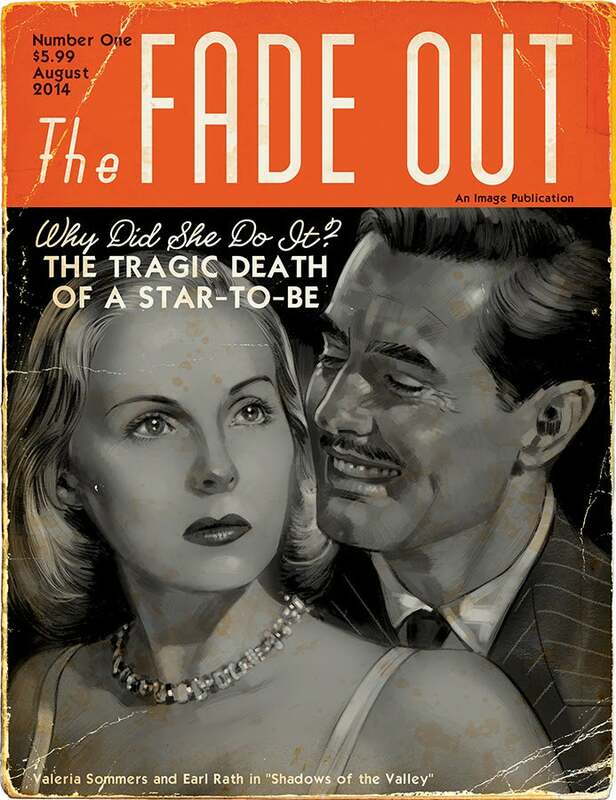 The first issue of The Fade Out, Image Comics's new series from Ed Brubaker, Sean Phillips, and Elizabeth Breitweiser, has sold out at the distributor level and go back to press for a second printing due out next month. The second printing will arrive in stores on September 24, the same day as The Fade Out #2. Set in 1940s Hollywood, the series begins with a suspicious murder and kicks off an intricate mystery involving a noir film stuck in endless reshoots, a writer plagued with nightmares from the war and a dangerous secret, and a maniacal studio mogul and his security chief who will do anything to keep the cameras rolling before the Post-War boom days come crashing down. The series launched with a 40-page issue that featured exclusive back page articles. For fans wishing to experience noir fiction in "true ‘40s style," an oversized "movie magazine replica" variant edition with 8 extra pages of behind-the-scenes art and articles was available as well. While the book is sold out at the distributor level, but may still be available in comic stores. It is currently available digitally on the Image Comics website, their app and via ComiXology.